The most iconic image of Marrakech is of course the 70m tall minaret and mosque that was built in 1162. 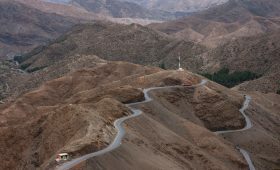 Fun fact all the minaret is visible from almost all directions as all the cities major roads led to it. Also, it has a twin! The Giralda of the Seville Cathedral was originally a minaret built during the Almohad period to resemble Koutoubia. 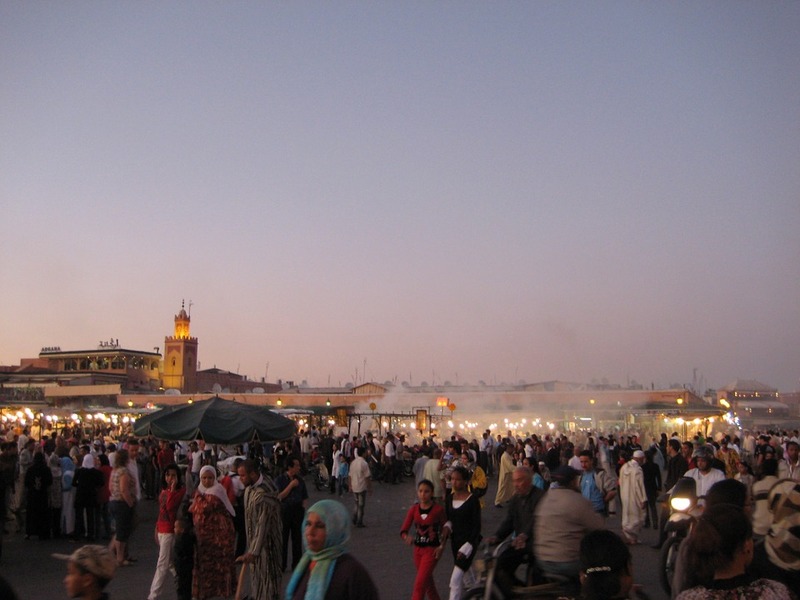 The busiest square in Marrakech (and arguably in North Africa) is Djemma el Fna. 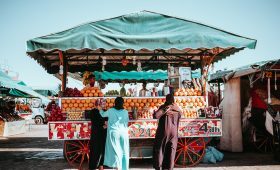 You will see everything from snake charmers and monkeys, artisans selling handmade crafts, fresh orange juice stalls, women drawing henna designs, to the beginning of the souk markets that line the entrance into the maze of the Medina. At night, you can eat at one of the many pop up food stalls that fill the square and eat among tourists and Moroccans alike. Definitely a must-see Marrakech attraction. The Saadian Tombs can be found in the Kasbah the oldest neighbourhood in Marrakech. This 16th century burial site holds 66 members of the Saadian Dynasty who ruled between 1524 and 1668. Its a fine place of reflection with its mausoleums, garden, and prayer niche. Madrasa Ben Youssef is an Islamic school named after the Almoravid sultan Ali ibn Yusuf. He reigned from 1106–1142 and he notably expanded the city and its influence throughout the country. 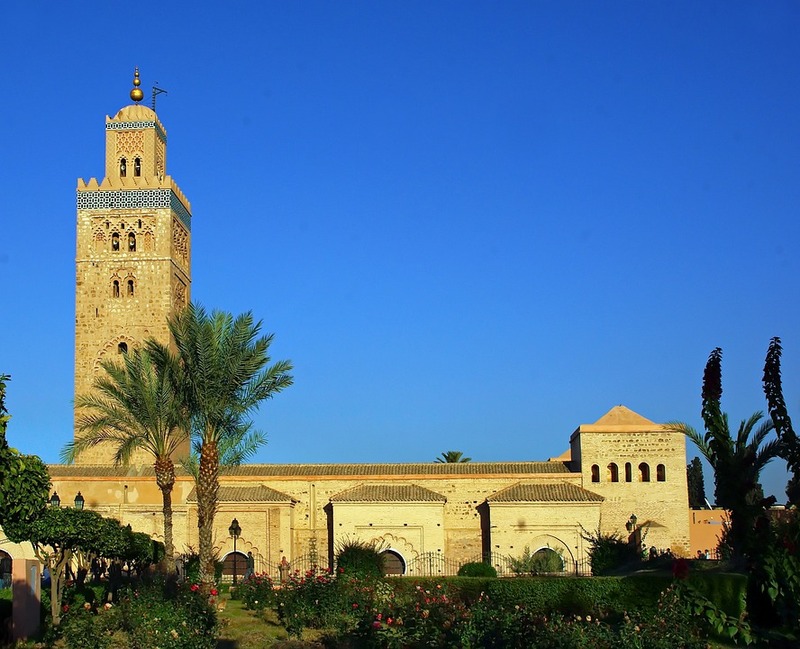 It is the largest Islamic school in Morocco though it closed in 1960 and is open to the public as a historical site. Its Islamic architecture with colourful zellige tiles and Arabic calligraphy visible throughout the property is spectacular to view in person. Originally the home of French painter Jacques Majorelle. He spent 40 years building his garden full of exotic trees and plants among pools and fountains and buildings with an Art Deco design meets Moroccan architectural style. Most notably, Yves Saint Laurent acquired the property in 1980 and his remains were scattered in the garden after his passing. 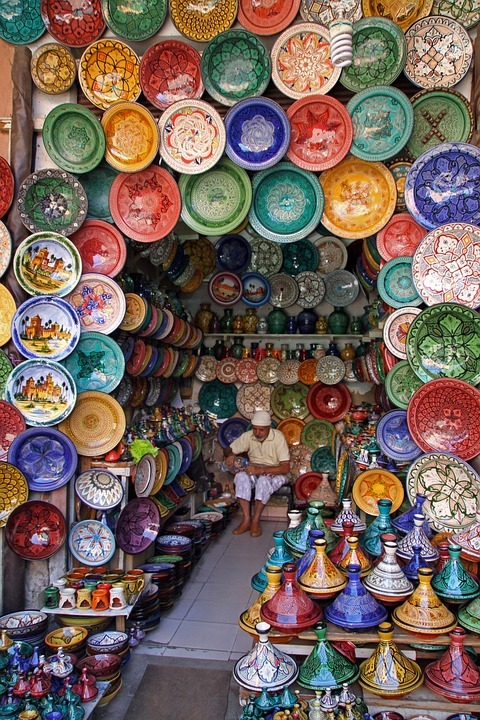 Next PostNeed A Morocco Travel Agency? We’re Here!